This edition of MRM’s Daily Bite has news from SevenRooms, Tripleseat and SevenRooms, Square, ChowNow, BlueCart, Chipotle and DoorDash, Pizza Hut, Deputy as well as The Cordish Companies and Troy Aikman. SevenRooms, the all-in-one reservation, seating and guest management platform for restaurants, released its “Turning a Meal Into An Experience” report, which found that personalization is crucial, with over half (51 percent) of Americans stating that a waiter/waitress simply remembering them from a previous visit would make their dining out experience more memorable. The study, conducted online with third party research firm YouGov, uncovered not only what guests expect out of their restaurant experience, but the specific factors that make them want to return time and time again. Creating that experience for a guest is essential, with a quarter (24 percent) of Americans admitting they wouldn’t return to a restaurant if their dining experience wasn’t memorable or special. The guest’s first experience at a restaurant has a large impact on whether or not they will choose to return for another meal. In fact, one in three (33 percent) Americans wouldn’t return if they felt the waiter/waitress didn’t pay attention to their preferences. Consumers have millions of restaurants to choose from, so it is important to understand what makes them pick that one specific spot to make a reservation. Quality of food (83 percent), convenient location (52 percent), reputation (37 percent) and price discounts (30 percent) are among the top factors that help Americans decide where they take their dining business. It’s clear that diners in the US strongly value the qualities in a restaurant that make them feel special, like being greeted by name, receiving personalized food recommendations and even social media worthy décor. Although experience at the restaurant is essential, it’s proven that the true first interaction, reservations, is where the make or break decision happens. In related news, Tripleseat, an event sales and management platform with more than 4,000 venues and SevenRooms announced a direct integration between the two systems. The partnership will enable restaurant front of house staff and event managers to seamlessly share reservation information and event details, helping to maximize space in the restaurant, and drive faster, more efficient sales to increase revenue. 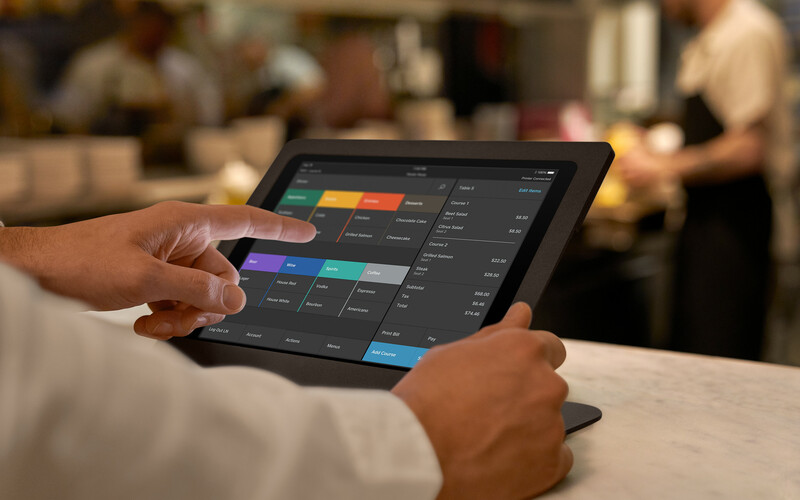 Square, Inc. launched Square for Restaurants, a fully integrated point of sale that matches the pace, complexity, and specific needs of today’s restaurants. It’s the company’s first solution built to serve full-service restaurants, and brings the speed and ease-of-use that Square is known for to all types of larger restaurants, bars, and lounges. Square will also integrate Caviar directly into Square for Restaurants, marking the first time restaurants will have a combined first-party ordering platform and point of sale. Square for Restaurants is cloud-based and customizable for however a restaurant is run, letting managers easily update menus and floor layouts remotely across multiple terminals and locations. New conversational ordering enables waitstaff to place orders quickly and intuitively, the way diners speak. 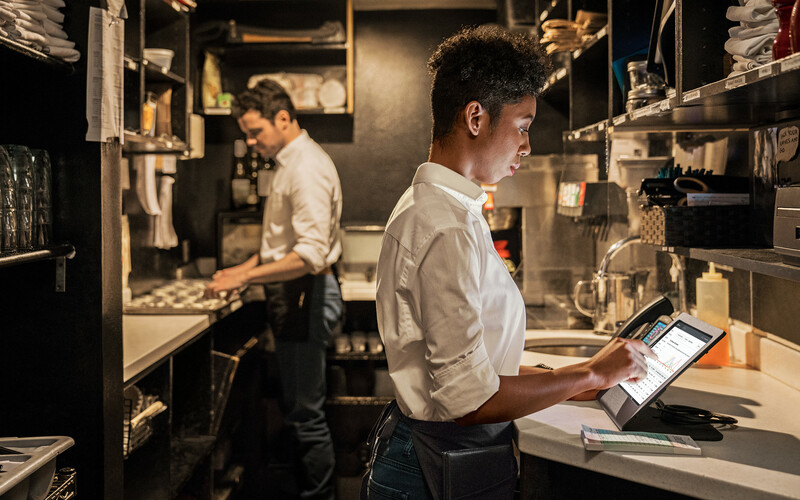 Square for Restaurants also offers built-in employee management to enable staff time and performance tracking, tip splitting, fraud protection, and more. Businesses using Caviar and Square for Restaurants will also be able to see delivery and pickup orders directly within their point of sale – speeding up operations, reducing incorrect orders, eliminating the clutter of excess tablets, and giving restaurants an omnichannel view of their sales and diner base. 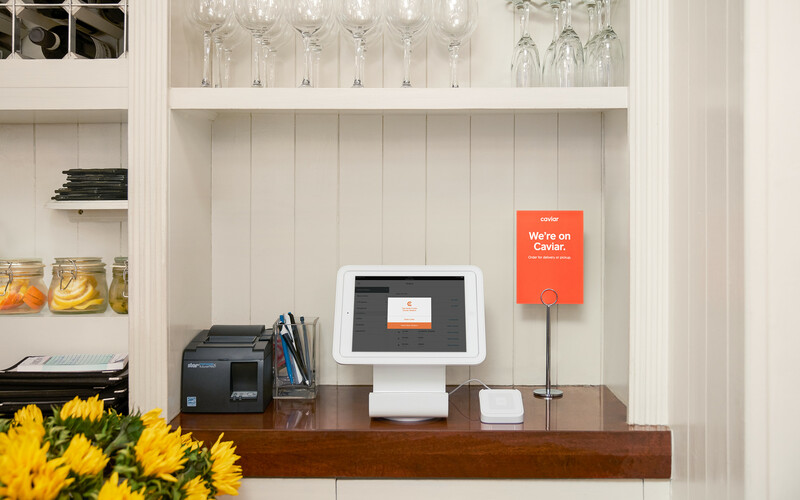 More than 100 restaurants and hospitality groups across the U.S. have already been using Square for Restaurants, including Bar Agricole in San Francisco, Boke Bowl in Portland, The Populist in Denver, Greca in New York City, and Philadelphia’s CookNSolo group, which has implemented Caviar integration at Rooster Soup Company. 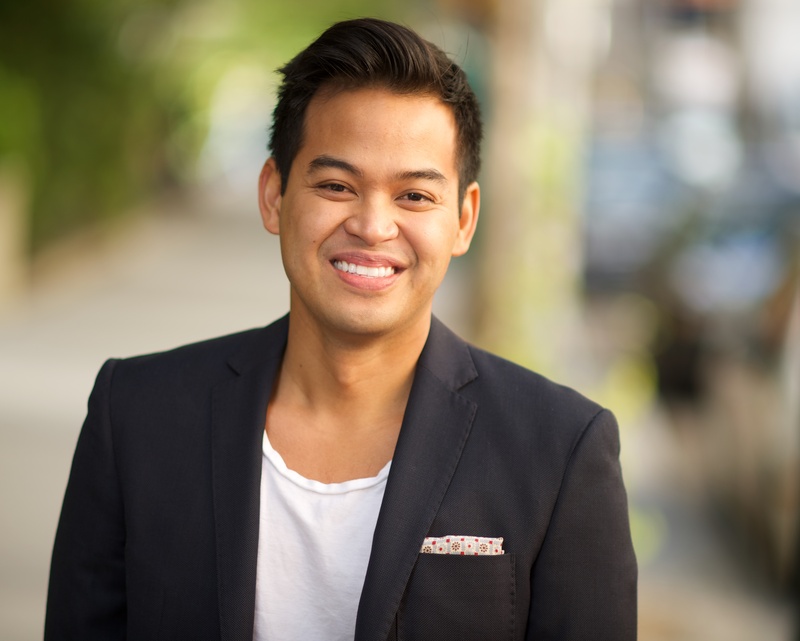 ChowNow is integrating with Instagram, allowing restaurants to accept takeout and delivery orders through the social network. 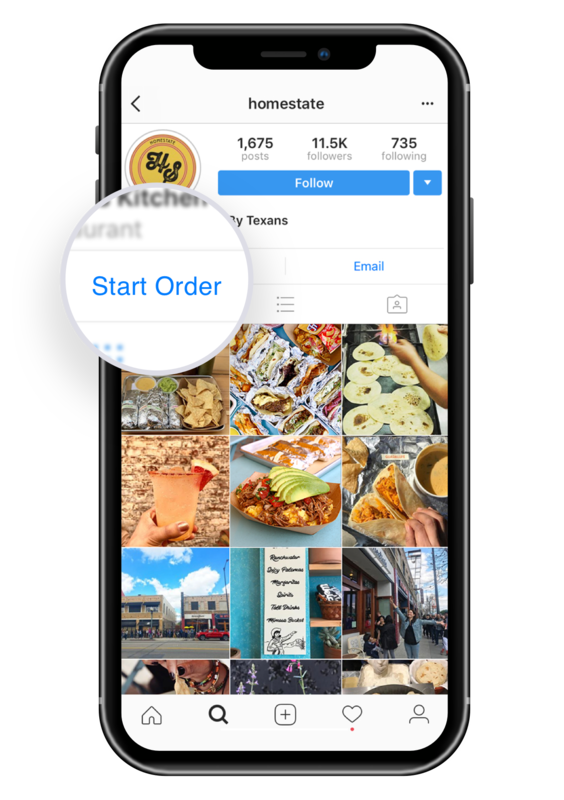 Instagram’s “Start Order” button can be incorporated into restaurant profiles, allowing users to place orders directly through Instagram. Instagram’s Start Order button is already available for all ChowNow restaurant partners. For those restaurants not working with ChowNow, click here to learn more. 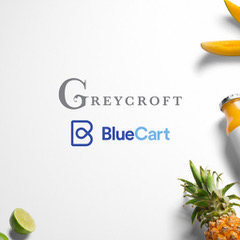 BlueCart, Inc., a hospitality industry marketplace and sales enablement platform, secured $5M in Series B-1 investment from Greycroft this quarter, bringing the total amount raised by the company to $22 million. The funding comes as BlueCart is scaling at an unprecedented rate in the hospitality sector, with 27,000 new buyer accounts and 3,100 additional wholesalers joining the platform in Q1 2018 alone. According to results shared by Chipotle Mexican Grill and DoorDash, Chipotle has seen a 667 percent increase in weekly delivery orders since the launch of their new national delivery partnership. As customers become more mobile and on-the-go, Chipotle is working to provide them with the same food and intuitive, quick experience they get when ordering in the restaurant. Most Chipotle restaurants now have a second make-line, which is dedicated to fulfilling online and digital orders. The second make-line is separate from the customer-facing line, thereby enabling digital orders with no disruption to in-store customer orders and boosting speeds for all orders. In fact, last week Chipotle had record high digital orders with no impact to the in-store customer experience. Pizza Hut’s category-first beer delivery pilot program is expanding to nearly 100 stores across Arizona and California in May. Pizza Hut announced the expansion of its beer delivery pilot program to nearly 100 stores across Arizona and California. Free beer delivery will be available in participating Arizona markets, with the purchase of select MillerCoors six-packs of beer. Pizza Hut is expanding its beer delivery pilot program in the U.S. as part of its larger commitment to providing unique and seamless delivery experiences to its customers. The beer will be delivered in a custom cooler designed to deliver the beverages cold, so customers can enjoy them right away alongside oven-hot pizzas. With the purchase of select six-packs of beer, free delivery will be available in participating Arizona markets. 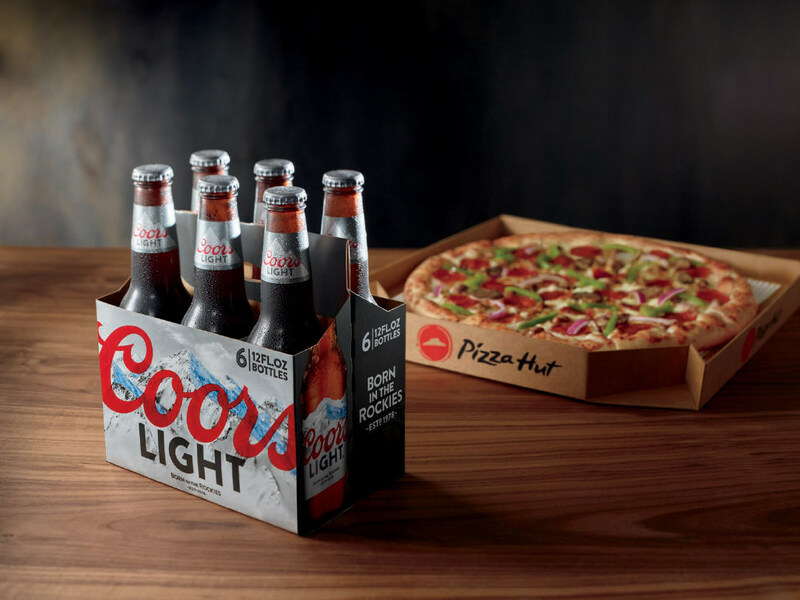 In partnership with MillerCoors, the delivery fee will be waived for customers who include a six-pack of Coors Light, Blue Moon, or Miller High Life in any Pizza Hut order online. Qualifying orders must meet delivery minimum requirements and be placed through PizzaHut.com, or the Pizza Hut Mobile App for iPhone and Android. In Arizona, Pizza Hut now offers beer delivery at participating restaurants in Phoenix, Tucson, Glendale, Prescott, Winslow, and more. In California, beer delivery is currently available at participating restaurants in Los Angeles, Bakersfield, Riverside, Sacramento, Santa Barbara and Santa Clara, among others; and rolling out soon to additional locations, including Anaheim, Fresno, Huntington Beach and Redding this month. Deputy released Artificial Intelligence-powered Auto-Scheduling to enable businesses with hourly workers to quickly and easily create, optimize and fill legally compliant schedules across industries such as restaurants, fast food, healthcare, staffing and franchises. Available now in the Deputy App, Auto-Scheduling uses AI to build the ideal schedule based on data analytics from multiple demand signals likes sales, foot traffic numbers, table reservations, and more. The feature optimizes demand forecast and creates a custom labor recipe that puts the best person in place for every shift, based on scheduling rules customized to businesses priorities. One-Click Scheduling – Save time, money and energy while creating the best schedule for your business and employees. Auto-Fill – Once you add rules based on your company’s regulations, Auto-Scheduling allows for custom shift structures that accommodate preferred shift length, start times and more. With the ability to copy and learn from previous schedules, Auto-Fill creates a new schedule with the click of a button. Accurate Labor Forecasting – Set priorities, like lowest cost, shift equality or matching past preferences, and Auto-Scheduling will fill your schedule with the best team to match your business needs. Compliance – Violations of wage and hour laws are one of the largest risks employers face. Create optimized, legally compliant schedules every time to stay in step with changing regulations without worry. 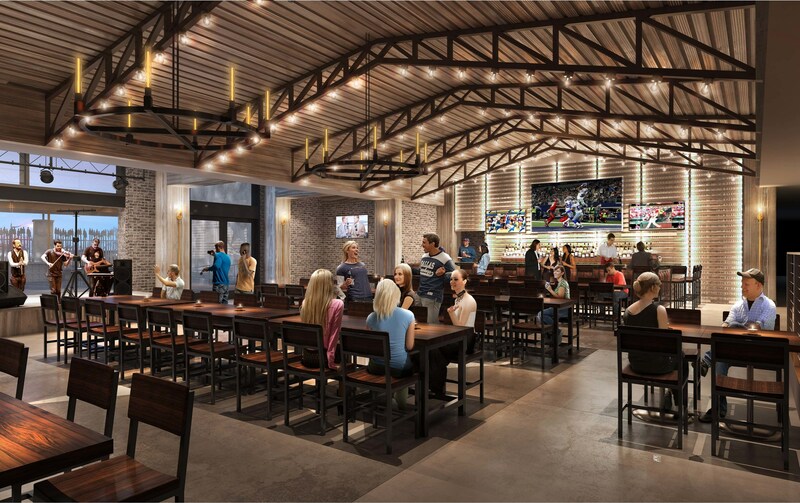 Troy Aikman unveiled details for Troy’s, his first restaurant and entertainment concept which will open within Texas Live! in the Arlington Entertainment District. Troy’s will be an iconic addition to Texas Live!, one of the largest and more exciting sports-anchored developments in the country opening this year. Plans for the venue were shared by Aikman as part of an exclusive first look at the construction progress of Texas Live!, the $250 million world-class dining, entertainment and hospitality district being developed in partnership between the Texas Rangers, The Cordish Companies and the City of Arlington. Troy’s, which will debut with the project late this summer, will join the likes of Arlington Backyard, Live! Arena, Rangers Republic, the country’s flagship PBR Country Bar, Revolver Brewing and Lockhart Smokehouse in anchoring Texas Live!. 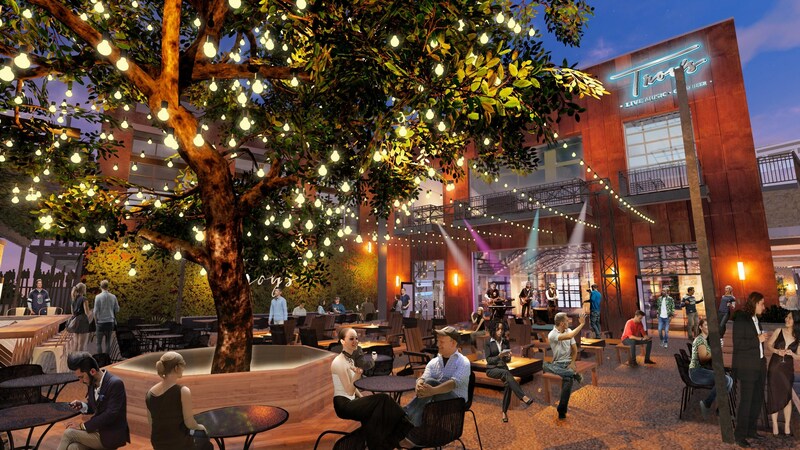 Designed by internationally-acclaimed Jeffrey Beers International, the space will flow from a refined rustic interior inspired from some of the best beer halls in Texas and the country to an expansive, lush outdoor patio space centered around a beautiful Live Oak tree. An indoor/outdoor stage in the middle will welcome live music seven days a week featuring a variety of local and regional acts. Additionally, Troy’s will feature a major LED display for a premier sports viewing experience. 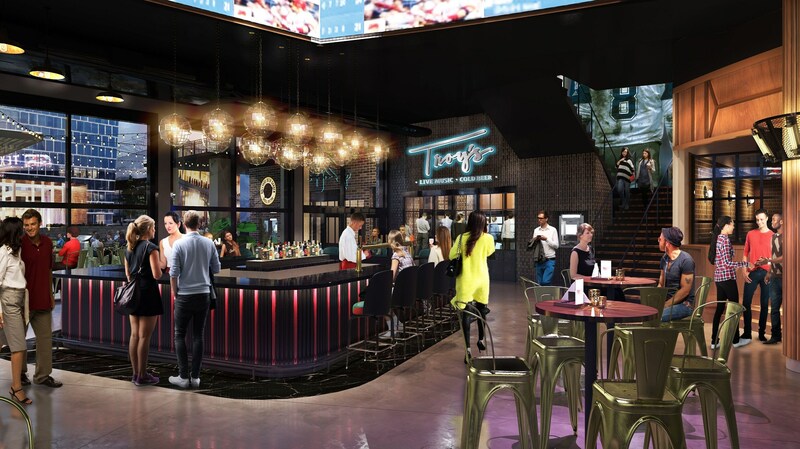 Troy’s will feature a major LED display for a premier sports viewing experience as well as an indoor/outdoor stage that will welcome live music seven days a week. Guests will enjoy an elevated menu at Troy’s based upon Aikman’s personal favorites including gourmet burgers with bold flavors and specialty margaritas made from the freshest ingredients. The menu will showcase several healthy lunch and dinner options, shareable sides, a selection of craft cocktails and a curated collection of wine and beer. Designed by internationally-acclaimed Jeffrey Beers International, the space will flow from a refined rustic interior inspired from some of the best beer halls in Texas and the country to an expansive, lush outdoor patio space centered around a beautiful Live Oak tree. Texas Live! will feature 200,000 square feet of best-in-class local, regional and national dining and entertainment and a 5,000-capacity outdoor event pavilion. Additionally, the project will debut the country’s flagship Live! by Loews hotel with 35,000 square feet of meeting/convention space in 2019. Texas Live! is bringing more than 3,000 new jobs to the City of Arlington and Tarrant County, including 2,000 new construction jobs and 1,025 new permanent jobs. The project will open late this summer between the Texas Rangers’ Globe Life Park and the Dallas Cowboys’ AT&T Stadium in Arlington, TX and will sit directly adjacent to the Rangers’ new Globe Life Field when it opens in 2020.